Set slow cooker to High or Low heat setting. 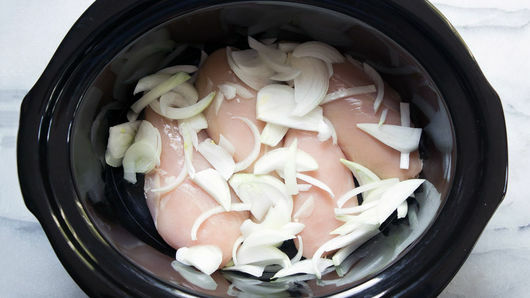 Place 4 large boneless skinless chicken breasts in slow cooker. Arrange 1 sliced medium onion over top of chicken. 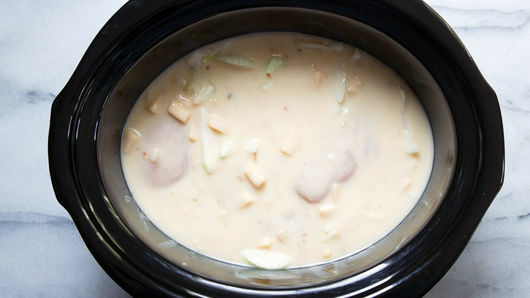 Pour 2 cans (18.5 oz each) Progresso™ Light creamy potato with bacon & cheese soup and 1/2 cup Progresso™ chicken broth into slow cooker. Cover; cook on High heat setting 3 hour 15 minutes or on Low heat setting 6 hour 15 minutes. When cooking is done and juice of chicken is clear when center of thickest part is cut (at least 165°F), stir together 1 tablespoon cornstarch and 1 tablespoon water in small bowl. Pour into slow cooker; stir gently. Cover; cook on High heat setting 5 minutes or on Low heat setting 10 minutes longer. Serve over hot cooked rice. 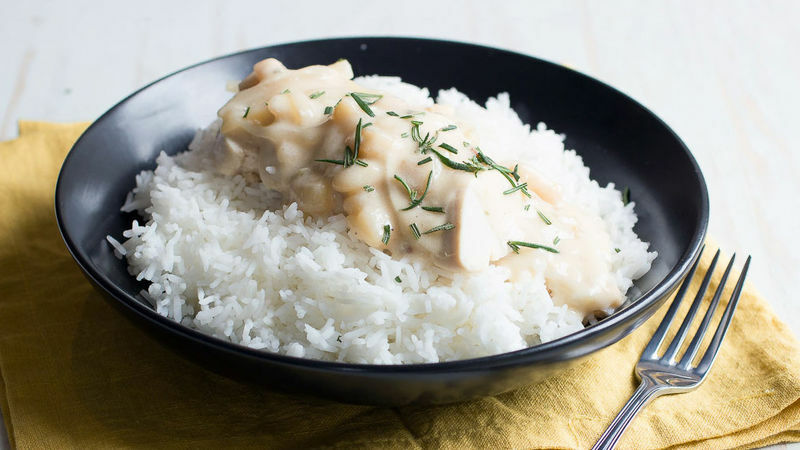 You can serve these chicken breasts halved or cut up into large pieces.